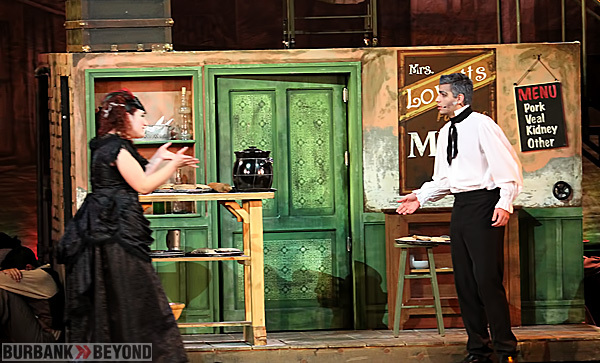 The combined drama, vocal and instrumental departments of John Burroughs High School presented the award winning Broadway musical, “Sweeney Todd, The Demon Barber of Fleet Street”, as the 5th collaboration of the departments and their most ambitious yet! 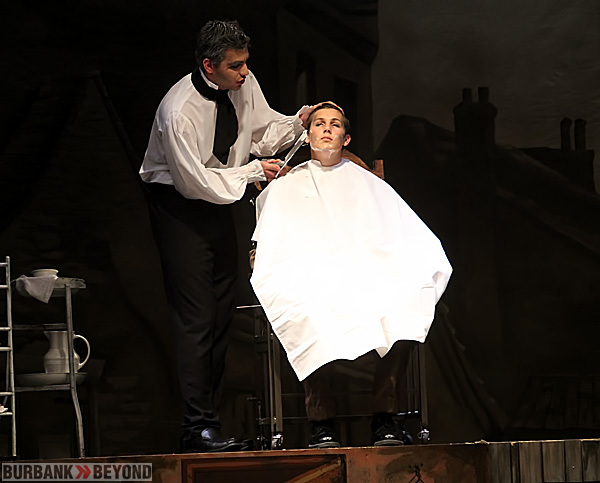 Set in 19th century London, this musical thriller tells the gruesome, grisly tale of the murderous barber Sweeney Todd who returns from exile to seek revenge on the judge who falsely put him away. Teaming up with Mrs. Lovett, the owner of a struggling pie shop, his thirst for blood expands to include his unfortunate customers and the whole human race. And Mrs. Lovett finds some new ingredients for her savory pies. Winner of the 1979 Tony Award for Best Musical, Sondheim’s masterpiece includes the deliciously wicked songs “A Little Priest,” “Pretty Women,” and “Not While I’m Around.” Everyone seeks revenge, but seldom as well as Sweeney Todd. Featuring John Oreshnick as Sweeney Todd, Joe Leone as Anthony Hope, Bronwen Capshaw as Mrs. Lovett, Nevada Brandt as the Beggar Woman, David Jurbala as Judge Turpin, Avery Ball as The Beadle, Kelsey Reynolds as Johanna, Josh Strobl as Tobias, Ragg and Miles Gonzalez as Pirelli, the difficulty of Sondheim’s music is giving the students one of the most challenging, creative opportunities of their high school careers. It will also be the biggest orchestra they have ever had, made up of students and professionals, who will mentor the students in the orchestra pit. This show also provides numerous technical challenges and demands as it features one of their most elaborate sets, with a full rotating central unit and many additional pieces. The show also offered the students an opportunity to explore the darker side of musical theatre, handling serious material in a mature way. 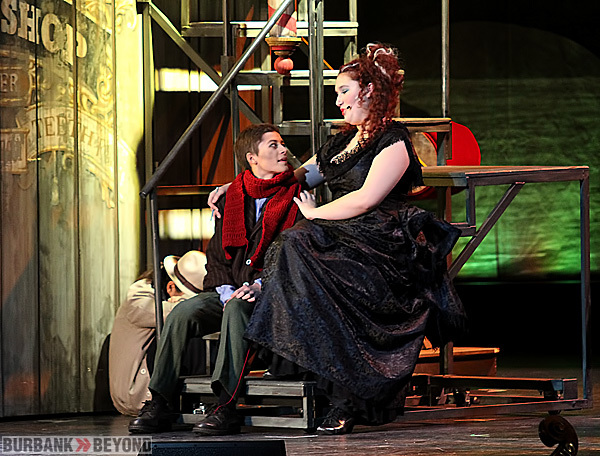 Sweeney Todd is recognized as a classic of modern musical theatre and the opportunity to dive into the brilliance of Sondheim is a benefit for the JBHS Performing Arts Department students as singers, actors, and musicians. The musical is such a popular choice with high schools, that Stephen Sondheim, himself, even rewrote lyrics for the high school version, which is what they will be performing. The production was under the combined direction of teachers Guy Myers (drama) Brendan Jennings (vocal) and Tana Barnett (instrumental). This entry was posted in Entertainment, High School and tagged “Sweeney Todd, Broadway musical, drama, instrumental departments, John Burroughs High School, The Demon Barber of Fleet Street”, Vocal on February 10, 2013 by Craig Sherwood.